If you are a blogger, graphic designer or just a person who works with a lot of images, then it is only natural that you may want a simple solution that can apply a simple change or configuration to all the images in batch with a few clicks. There are several programs that can do batch image processing, but most them are very limited in terms of features provided. 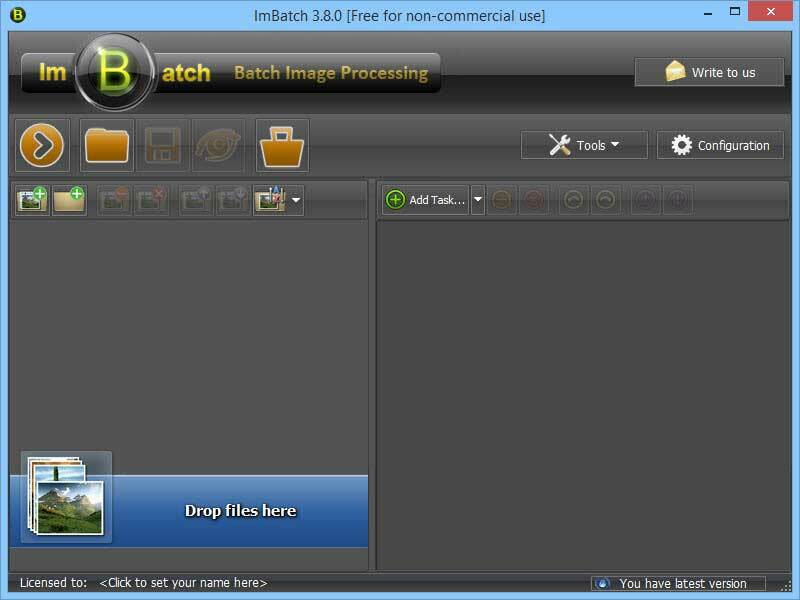 That being said, if you want a batch image processor that can do all kinds of things, then ImBatch is a must-have tool due to its powerful features and ease of use. As per the productivity, ImBatch has a page-full of several different features that can do a range of things depending on your requirements. Some of the important features include image resizing, removing EXIF data, support for a wide range of image formats, watermarking, image enhancements, image optimization, etc. One of the good things about ImBatch is that it won’t limit the user to do only one action at a time, but it allows you to combine and execute multiple actions. 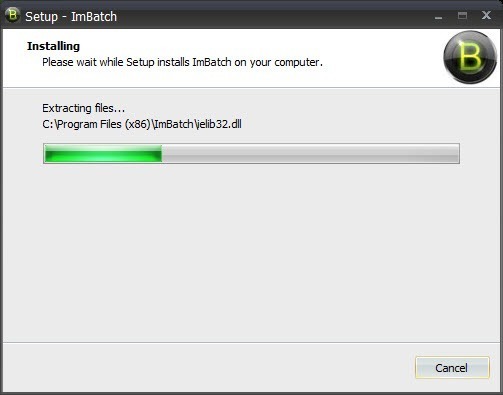 You can download ImBatch from its official site, and once it’s downloaded, install it like any other software. After installing, launch the application either by using the desktop shortcut or by searching for it in the Start menu. As you can see, the interface is simple but may be a bit confusing for first-time users. 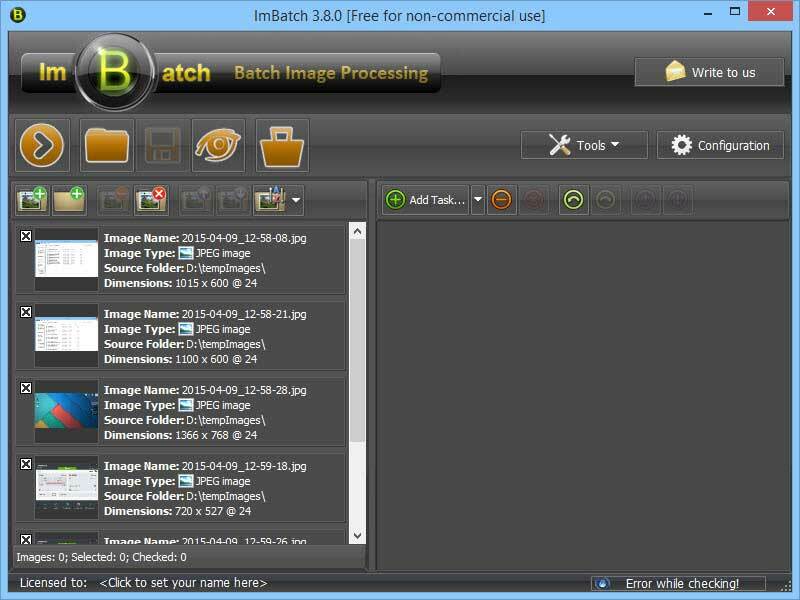 Batch processing images in ImBatch is simple. For instance, I want to resize my images, remove the EXIF data and save them with the name of their current index. 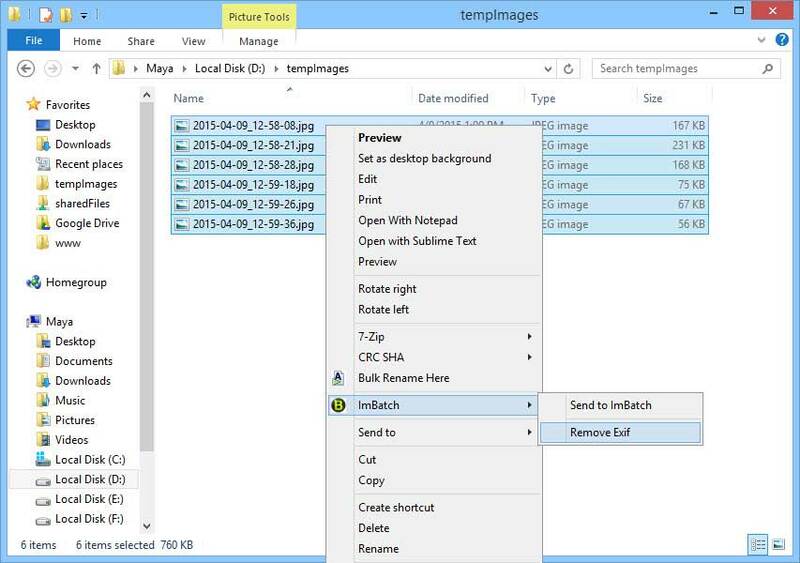 To do that, first select all the images, then drag and drop then into the “Add Files” section of ImBatch. Now add the actions according to your requirement by clicking on the button “Add Task” and selecting the required task from the drop-down menu. Each task will have its own settings and can be customized to an extent. As said before, you can add multiple tasks to your heart’s content. Once you are done adding tasks, click on the Run button appearing in the upper left corner. 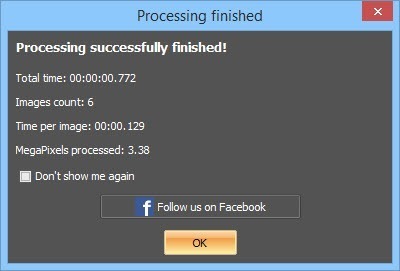 This action will trigger the processing, and once completed, ImBatch will show you a Processing Finished window. In fact, if you navigate to the images folder, you can see all your processed images. But that’s not all. 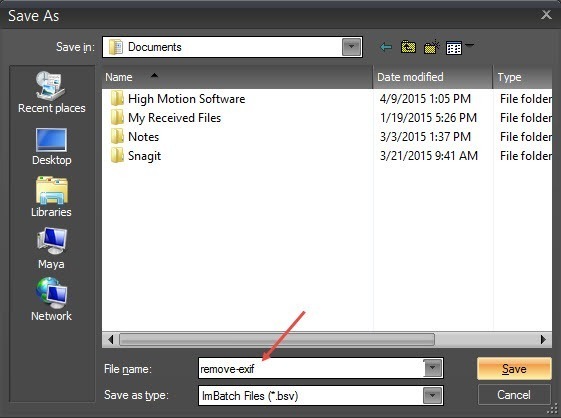 You can save the batch task in a single file and integrate it into the Windows Explorer right-click context menu. This allows you to use this batch action over and over without manually opening the ImBatch application and adding the tasks manually. To do that, open up ImBatch and add the tasks that are required for your daily work in the right pane. There is no need for you to add the images. Once the tasks have been added, click on the “Save” button appearing on the top navigation bar. This action will open the Save As window. Simply enter the name, select the location you want to save the batch file to and click on the “Save” button to save the batch file. 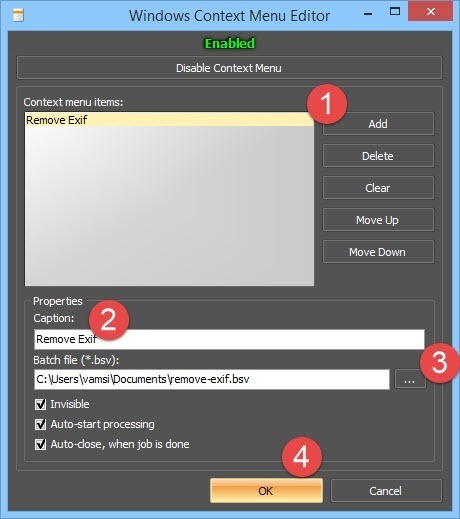 The above action will open the Windows Context Menu Editor. Here, click on the “Add” button, enter the Caption (Name) and enter the earlier saved batch file location by clicking on the Browse icon. Once you are done, click on the “Ok” button to save the changes. That’s all there is to do. 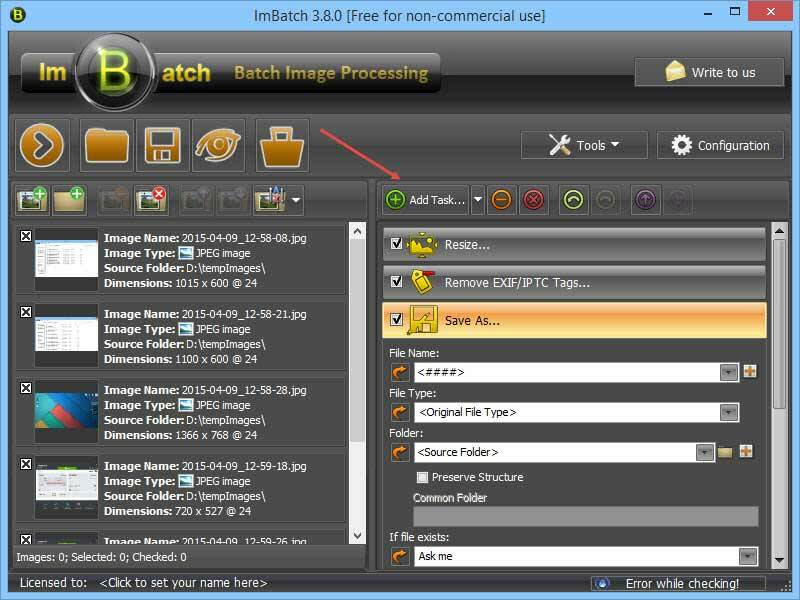 From this point forward, you can easily batch process all the images by simply selecting them and choosing the ImBatch option from the right-click context menu. 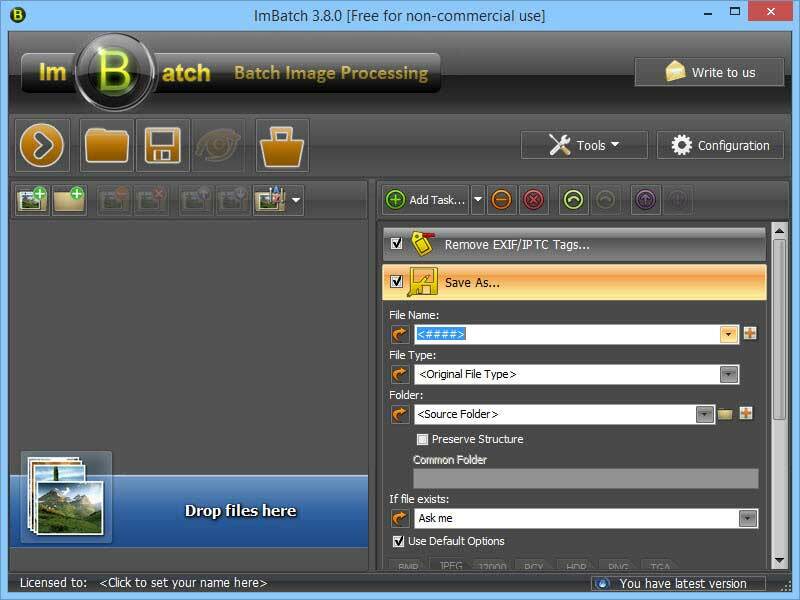 ImBatch is a perfect little tool that packs quite a few useful features or tasks that can automate most of your daily image processing work like resizing, changing image formats, renaming, adding different effects, etc., with just a few clicks. So, if you ever need a good image processing software, then do give ImBatch a try. After all, it is a freeware with no bundled junkware or adware. Maybe it’s good but honestly I never trust those programs with a totally outdated 90’s look. Did you test it? I did test the software on my own system. If you don’t like the looks of the software user interface, then you can easily customize it from the options panel. It does come 10+ skins. Oh great I will try it then. Thanks! What a horrible collections of UI’s, yug. This people should step into 2015 and forget 1981.